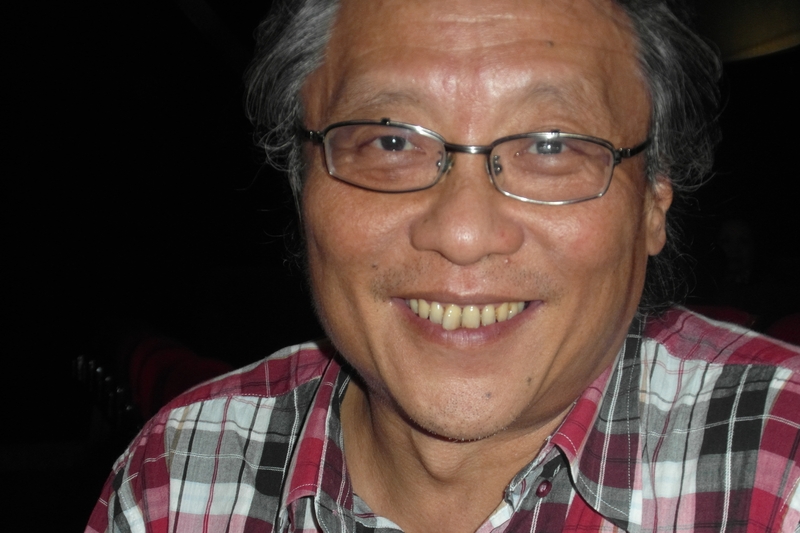 Taiwan Cultural Center in Paris has invited Zhang Dachun (Chang Ta-chun), one of the most famous Taiwanese writers to recall the memories of their fifteen years for three generations, his father, himself and his daughter. The father is a native of Jilin in Shandong, he was a minor official who only went to college and had no connection with the intellectual community. The year 1936 sees the opposition between nationalists and communists and resistance against Japan. In December, a few days after the anniversary of his father, the Xian Incident took place and Chang Kai-shek as a prisoner was forced to conclude an agreement with the Communists and give priority to the fight against Japan. Positive relationships with his father who had a strong influence on him; he praises the human qualities and the education he received. In 1997, his father is paralyzed after a fall and Zhang wrote “Listening to my father.” A few years later, in 2003, after a trip to Shandong to meet members of his family remained in China, he writes “As one family,” a kind of family tale told to his son by an old man deep in his bed. Born in 2001, she finished college and Zhang shows us a photo of a teenage girl sitting on a few piles of files, those that she had to study. She still has three years of high school to go … A strong personality and relationships are sometimes difficult but as he told us, the important thing for parents is always to keep their promises. He is much occupied with his daughter and a younger son; his radio programmes allow him to organize his day at his convenience. He writes a lot about children, education and even the study of characters with “Know some characters” learning of 89 characters, a book that was very successful. Each day, he spends time on calligraphy and writing classical poems. Fights with other pupils are controlled by parents and teachers. This is not the case for Hou Sichou, the hero of one of his novels ” Wild Child” (1). Zhang studied Chinese literature at the Catholic University Fu-Jen and, at 19, already published successfully, a short story. After two years of military service he works as a journalist at the China Times and as a university assistant. A first book in 1986, influenced by Garcia Marques and “magic realism”; two years later a collection that publishes two famous short stories “Lucky worries about his country” (2) and “The General’s monument” (3). Zhang publishes a lot: short stories in Science Fiction ( “The Sorrow Dead”) and even as was recalled by Michael Berry, the translator of “Wild Child” and “My Kid Sister” very original wuxia short stories. His texts in the China Times, a mixture of information, satires, historical references will lead him to publish articles along the style and the interests of a college boy, under the pseudonym Big Head Spring. The “Weekly Journal of Young Big Head Spring” is a huge success, number 1 in sales during 1992 with 260,000 books. The two novels that follow will be very much influenced by ” The Catcher in the Rye” by J.D. Salinger. This monument of 60 million copies as from 1951 will have a major impact on his work. The hero of Salinger, Holden Caulfield is 10 years older than his little sister Phoebe, he is excluded from school and wanders in New York; a coming of age novel very inventive and ultimately quite optimistic, which is not the case of the two novels by Zhang Dachun. The narrator of “My Kid Sister” is a writer of 27 years, eight years older than his sister. A dark portrait of the life of the girl and the impact of family disintegration. 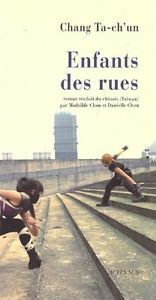 A great success for this well composed novel, more moving than “Wild Child” (4) published in 1996 which is a very dark book and describes the life of Big Head Spring in the slummiest parts of Taipei. After running away from school at 14, he left home traumatized by the departure of his father. For the author, the book is not tragic; what is unfortunate is the number of children who at that time lived in the streets of Taipei. Zhang Dachun up to now has multiple activities: radio, television scripts, journalism, calligraphy … and even from 2013 to 2015, a historical novel very well received on a great poet “Li Bai in the Tang Dynasty” . In short an engaging personality with varied talents who, hopefully, will still write good novels although he said he may have been too early too successful! 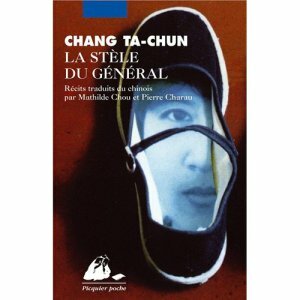 (1) Chang Ta-ch’un, “Street Child”, translated into French by Mathilde and Danielle Chou. Actes Sud, 2006. (2) Chang Ta-ch’un, “Lucky worries about his country”, translated by Chu Chiyu in “The Columbia Anthology of Modern Chinese Literature”; p. 460-473. 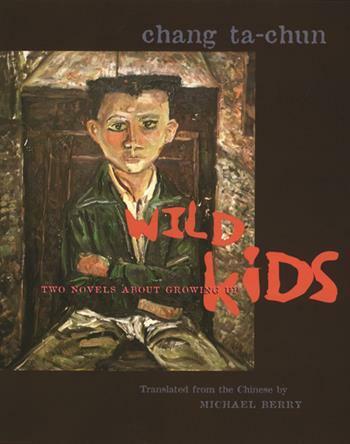 (4) Chang Ta-chun; “Wild Kids”, translated by Michael Berry. Columbia University Press, 2000. With “My Kid Sister” p. 1 to 128 and “Wild Child” p.129 to 256.